until the cop’s behaviour got media publicity. Stan Lowe’s handling of the Frank Elsner case brings to mind the Taylor Robinson cover-up. In both examples, B.C.’s police complaint commissioner knew about very troubling police misconduct but refused to call an investigation until after the media found out. This time, even a judge has questioned Lowe’s actions. 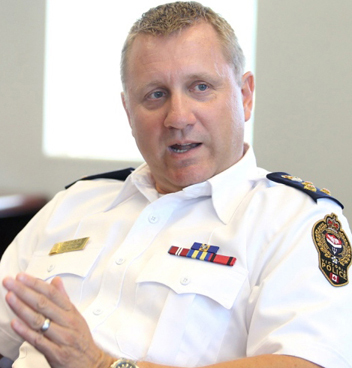 Victoria police chief Frank Elsner had been sending sexually suggestive messages to an officer in a nearby municipality. Compounding the problem, she’s married to one of Elsner’s subordinates. Lowe found out after civilian staff at Victoria police raised the matter. But Lowe did nothing, allowing Elsner’s disgraceful conduct to be dealt with informally, secretly and outside the Police Act. It wasn’t until December 18, the week after media learned about Elsner, that Lowe finally did his duty and called an investigation. By that time Victoria police had voted against their boss in a non-confidence poll taken by their union, emphasizing that these victims of police misconduct were other police. Elsner went to court, trying to block the Police Act investigation Lowe so belatedly ordered. On hearing details of the case and Lowe’s handling of it, Chief Justice Christopher Hinkson said Lowe should have made the call earlier. “What do you need to conclude public confidence might be shaken?” the Victoria Times Colonist quoted Hinkson asking the OPCC’s lawyer. The lawyer responded with feeble remarks about 20-20 hindsight. Shades of the Taylor Robinson case, this looks like another OPCC cover-up. Robinson was the Vancouver police constable who got caught on video shoving a disabled woman to the sidewalk for no apparent reason. No investigation began until over six weeks after it happened, nearly six weeks after VPD Professional Standards found out and nearly four weeks after Lowe’s office found out—but just days after media found out. We don’t know how many more cases have been covered up or otherwise unfairly dismissed. That’s because the OPCC works in near secrecy. We can’t do anything about the cases that do come to light because Lowe and his staff answer to no one—absolutely no one at all. The existence of this agency, the legislation that enables it, the corrupt characters who run it and the cynical opportunists who support it call into question the integrity of B.C.’s political and justice system. The OPCC has the full support of the otherwise warring BC Liberals and NDP, as well as the Law Society of B.C., the B.C. Civil Liberties Association and the Pivot Legal Society. All those groups act as if justice constitutes a con game to be manipulated for their own ambitions. As for B.C.’s media, this Times Colonist report stands out as a blue moon example of OPCC coverage not directed by the OPCC. Update: Frank Elsner gets off thanks to Stan Lowe.